Phosphorus is an essential macro-mineral nutrient for poultry, needed for the body growth, development of bones, genomic function, good quality flesh, and eggs production. The imbalance of organic phosphorus sources in the diet mostly affect the phosphorus digestibility, reduces the poultry performance and health, and increases the environmental pollution burden. 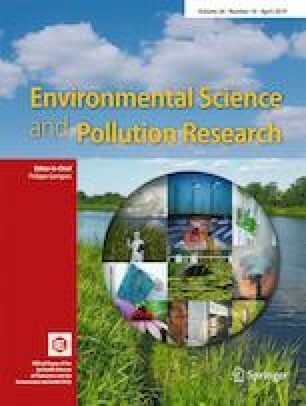 A study was reviewed to estimate the low phytate phosphorus digestibility of ingredients in poultry diet and their impacts on environmental ecosystem and opportunity of phytase supplementation. Plant ingredients mostly used in poultry diets are rich in phytate phosphorus. The phytate phosphorus digestibility and utilization is low in the gut of birds which leads to decrease other nutrients digestibility and increase excessive excretion of phosphorus with additional nutrients in the manure. When that manure applied to the lands containing excessive residual phosphorus and additional nutrients which pollute soil, groundwater disturbed the entire ecosystem. This issue is developed by poultry due to lack of digestive enzyme phytase which promotes the phytate phosphorus during digestion and reduces the excessive losses of phosphorus in excreta. To overcome this matter, the addition of mostly exogenous phospho-hydrolytic phytase enzymes in the diet, i.e. Escherichia coli, Peniophora lycii, Aspergillus niger, and Ficum, are the possible ways to increase the digestibility and utilization of phytate phosphorus and promote the stepwise release of phosphorus from phytate and significantly decrease phosphorus excretion. The aim of this review is to highlight the role of phytase supplementation in the poultry feeding, improvement of phytate phosphorus digestibility with performance, and reduction of phosphorus pollution from the environment.